I remember going on a school geography field trip to Wookey Hole in Somerset, but clearly my interests at the time lay elsewhere as I have no recollection of hearing about cheese making going on there ! 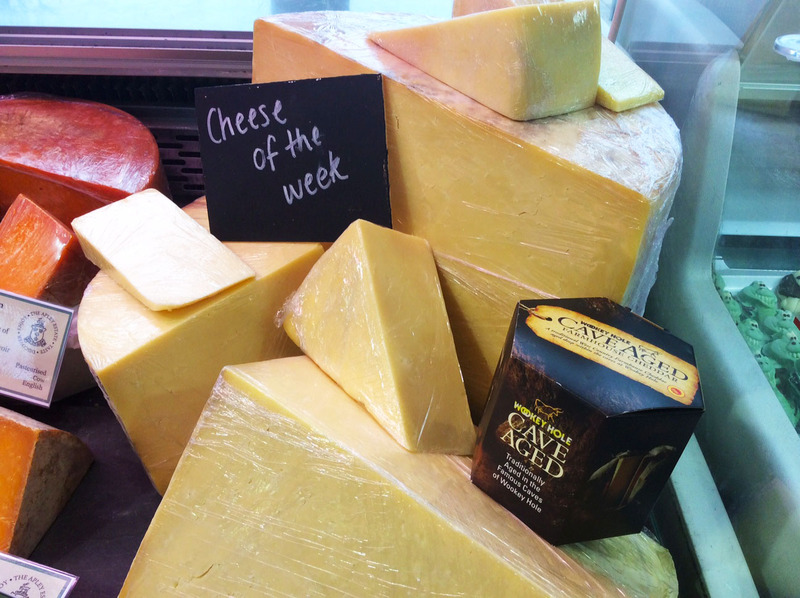 Apley Farm Shop’s delicatessen counter is one of the stockists for the Wookey Hole cave aged cheddar & has chosen it as Cheese of the Week. 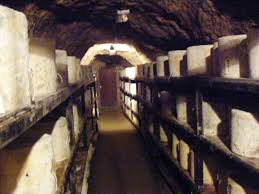 Wookey Hole cheese is created & stored whilst it’s wrapped in cloth & lard in the Wookey Hole caves in Somerset, which naturally maintain a temperature of 11 degrees all year round. The high humidity in the caves stops the cheese from drying out during the maturing process, giving it its distinct taste & texture, a practice that has been going on for 400 years. It’s produced by Ford Farm who also produce Cave Aged Cheddar Truckles or just wedges & Cave Aged Goats Cheese. It has been widely recognised and rewarded by the crème de la crème of the cheese industry, with a raft of prestigious awards. Their website describes it like this: Deep in the heart of the Wookey Hole caves lies a powerful secret. Adventurers on the hunt for the holy grail of cheddar should follow their nose and head north from Chamber One negotiating the craggy overhanging rockface that dates back thousands of years towards a gated chamber. Behind the wrought iron gates lies the coveted secret – deliciously moist, creamy, nutty and tangy Wookey Hole Cave Aged Cheddar.